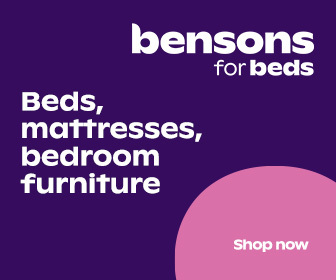 Bensons for Beds is one of the fastest growing retailers in the UK. Originally founded in 1950 as a general store, their first bed centre was opened in 1972. In 2011, the new Bensons for Beds business was launched, merging the existing Bensons for Beds, quality Sleepmasters Beds and Shed brands under one umbrella. At Bensons for Beds we manufacture and sell direct to our customers with no middle men, allowing us to supply high quality Sleepmasters beds and Shed brands at very competitive prices. We offer an extensive range of trendy designs in eye-catching styles and colors. All of our customers will benefit by having access to our wide range of products. Visit us today from this page, to find out lots more about the fantastic range of quality Sleepmasters beds we have in store for you to choose from at Bensons for Beds.